In addition to how the weight of your body is distributed across your two feet, it can also vary in where specifically it is placed inside your feet. Indeed, your weight can be distributed level between the back and front of your feet, or it could be located more towards your toes. Finally, it can also be situated towards your heels. All three weight setups are explained below. A level weight distribution in your feet would see your weight equally distributed across the entire surface of your feet. Indeed, positioning yourself in such a way would see no more weight placed towards your toes than towards your heels. Adopting such a weight distribution setup is the default position of the golf swing and it can apply to all normal situations. 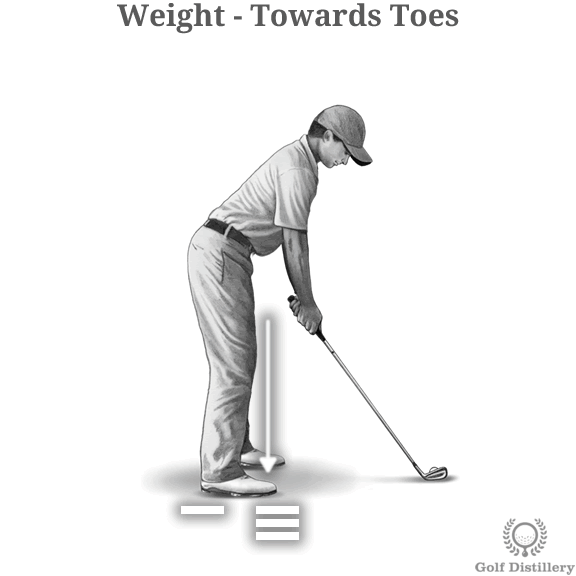 A golfer can also distribute his weight towards the front of his feet, towards the toes. If and when he does he’ll be standing nearer to the ball than he normally would, at least at address. 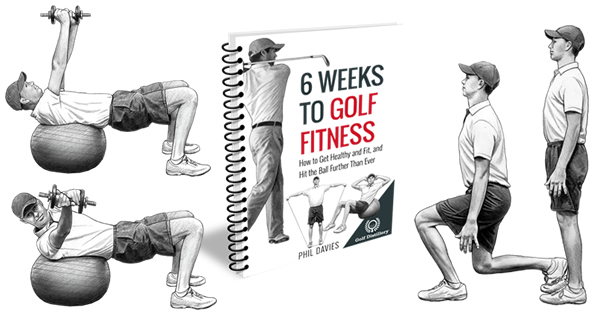 Because this setup is somewhat unstable there is a risk that the golfer will no longer be in that position upon his return to the ball at impact. Indeed, while he may see his weight towards his toes at address he may in turn see them level at impact. 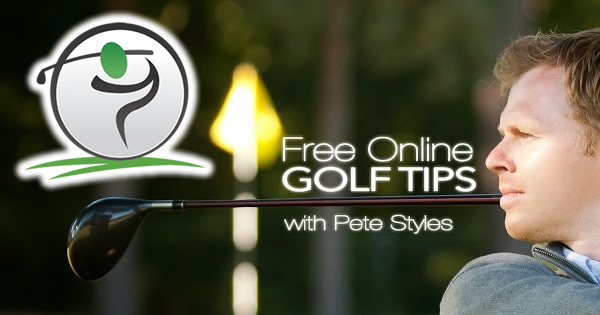 If that were to happen, he would hit shots on the toe of the clubface rather than on its sweet spot. 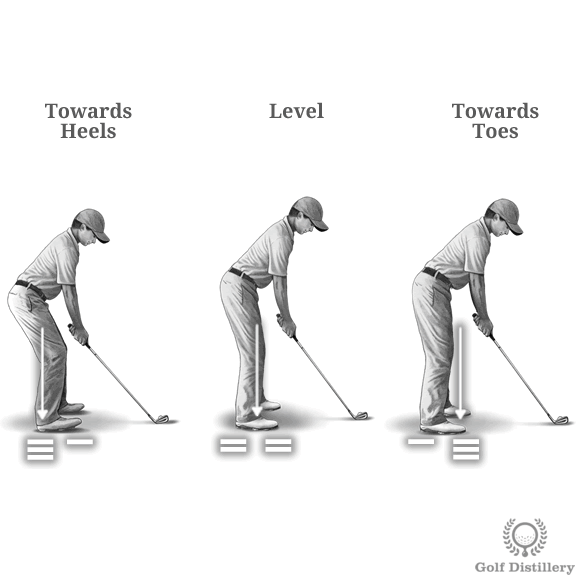 If he were to strike the ball at impact in the same foot position he was at address then he would most likely hit the club towards the right side of the target. Indeed, whenever the sole of the club tends to dig into the ground at the toe, balls tend to go right of the target. This would be the situation here since the effective lie of the club would be steeper than normally. Finally, a golfer could also distribute his weight towards the back of his feet, towards the heels. 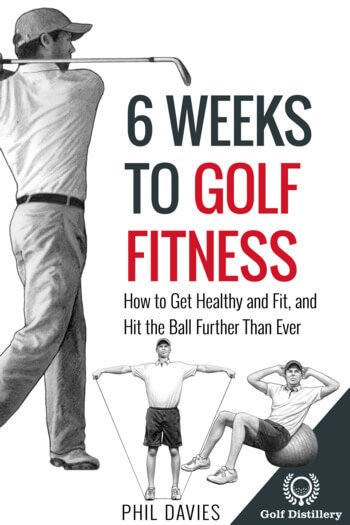 If and when he does the golfer would then be further from the ball than he normally would. Again and similarly to the “towards the toes” setup, this position is quite unstable. 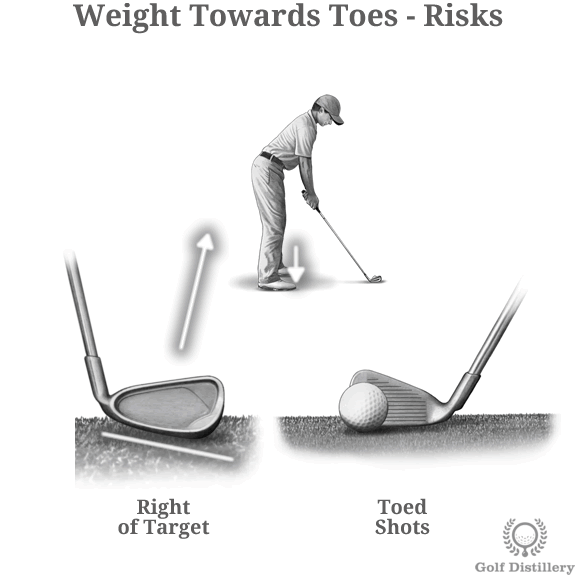 But in contrast to the position just mentioned, the golfer could be in a position closer to the ball at impact than he were at address, resulting in a shot hit towards the heel of the club. 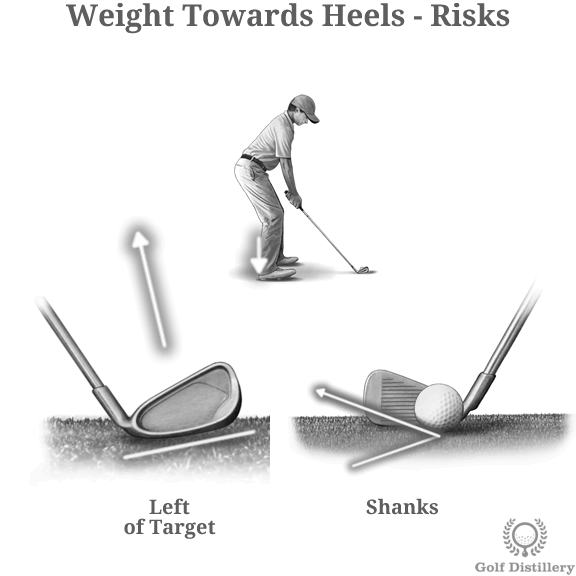 This carries a high risk of producing a shank shot if the ball were to actually hit the heel of the club. 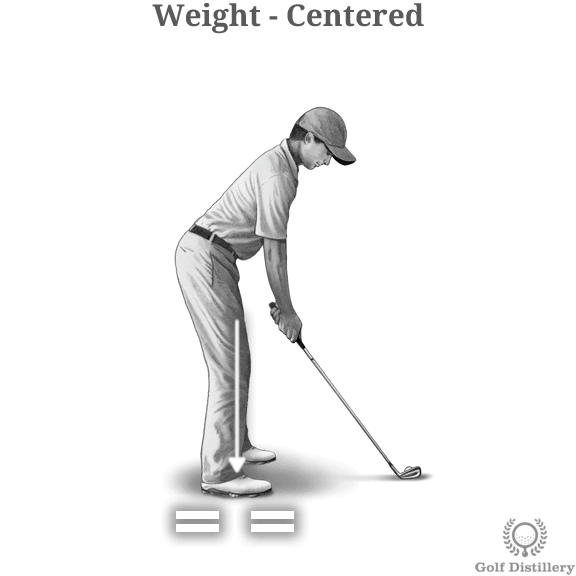 Furthermore, if he were to come back at impact in the same position he were at address (as far as weight distribution goes) then his shots would tend to go left. Indeed, a club that tends to dig into the ground towards the heel of the club produces shots that tend to go left of the target. 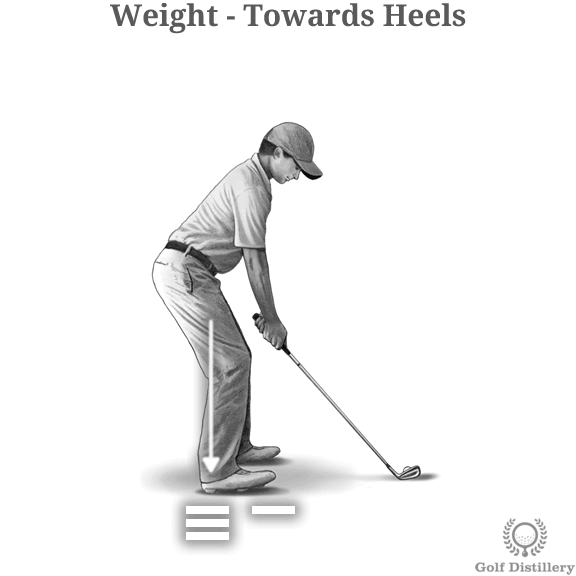 And leaning back on your heels lowers the effective lie angle of your club, which can lead to your clubface not being square to the ground but instead coming in at an angle.